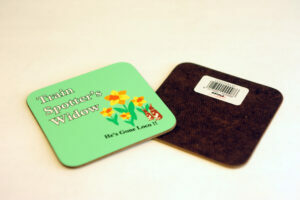 Home / Square Coasters / £500 Reward for Dog! 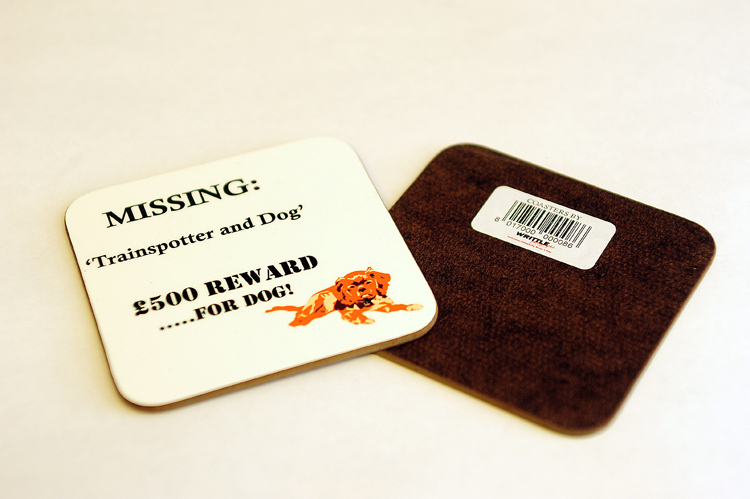 Missing: ‘Trainspotter and Dog’……………..£500 Reward for Dog! 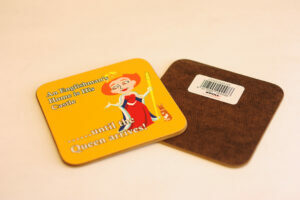 We do a wide range of bespoke square wooden coasters with our humorous and quirky designs, all created and produced in-house. 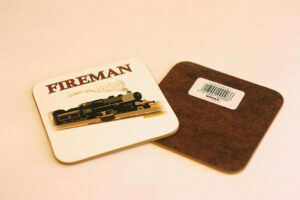 The square coasters are 90mm x 90mm and finished in high gloss.